The vast majority of dividend cuts can be spotted in advance. Dividend cutters often possess some combination of a dangerously high payout ratio, falling earnings, and too much debt. Unfortunately, Vale's (VALE) announcement on January 27 to suspend all dividends, share repurchases, and management bonuses was triggered by a swift and severe tragedy – the collapse of a dam at one of its iron ore mines in Brazil killed at least 60 people, with over 250 people still missing. The affected families will never be the same, and while it could take several years to reach a settlement, Vale will certainly be on the hook for substantial environmental and civil damages related to this disaster. Suspending the dividend helps preserve cash to begin building up a reserve for this unknown but mounting liability. Prior to this weekend, Vale had delivered an impressive multiyear turnaround under CEO Fabio Schvartsman, who took the top job in early 2017. The miner sold off non-core assets, aggressively paid down debt, pulled back on growth spending, and initiated plans to provide investors with more sustainable dividends. The company's liquidity was solid as well. Vale had $6.1 billion of cash on the balance sheet at the end of September (compared to annual dividends of $3.3 billion), more than enough to cover the firm's debt maturities through at least 2021 (77% of Vale's debt matures after 2022). Thanks largely to management's deleveraging efforts and more conservative capital allocation plans, in July 2018 Moody's upgraded Vale's credit rating to Baa3 (investment grade). Vale's improved discipline extended beyond its balance sheet. Most notably, the company was finally generating substantial free cash flow again. Although the price of iron ore, which generates approximately 75% of Vale's total revenue, sits around 50% below its pre-2014 levels today, the miner's free cash flow per share hit its highest level in more than a decade. A big driver was management's more rigorous capital allocation approach. In 2018 Vale's capital expenditures came in close to $3 billion. While that may sound like a lot, consider that Vale's capital spending averaged over $10 billion annually from 2013 through 2015. Thanks to Vale's deleveraging and much improved cash flow generation, management expected the firm to have $8 billion to $12 billion of annual average available cash from 2019 to 2021. As a result, a minimum of $4 billion per year was targeted for dividends and share repurchases. "The announcement of a formal dividend policy brings more transparency and predictability to dividends payments. The new policy sets dividends payments twice a year, in September, for first half results, and March of the following year, for second half results. The minimum dividend will be calculated based on 30% EBITDA less sustaining capex." Simply put, Vale appeared to be evolving into a safer, more reliable business despite the cyclical and capital-intensive nature of the mining industry. 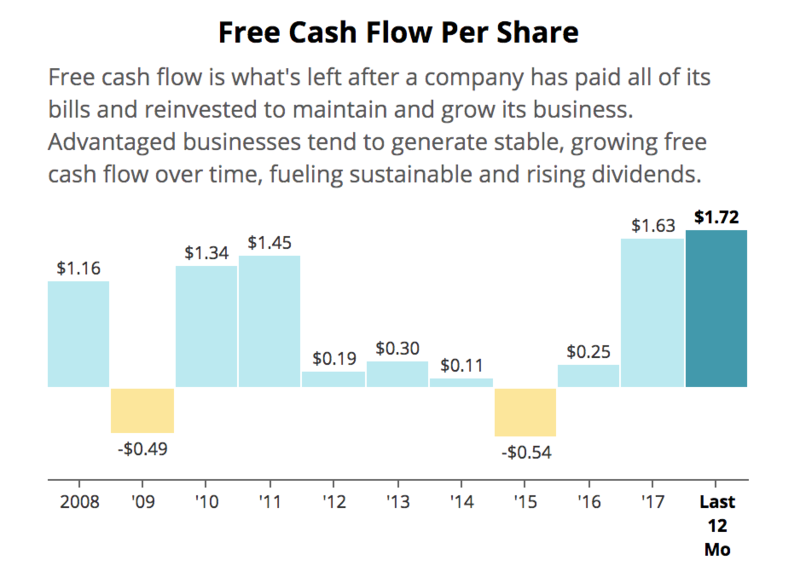 With over $6 billion of cash on hand, growing earnings (analysts expected 18% EPS growth over the next year), and great cash flow generation even after paying dividends, Vale was on solid ground. Of course, that all changed in an instant when the company's dam burst, bringing down management's credibility along with it. Vale's image previously took a hit in November 2015 when another one of its dams (co-owned with BHP) burst at a mining site less than 100 miles away from this one. That tragedy resulted in 19 casualties in what was believed to be Brazil's worst environmental disaster ever. Reuters noted that last year Vale settled a $5.4 billion civil claim with local authorities to set up a clean-up fund for the 2015 disaster. Meanwhile, federal prosecutors agreed to suspend but not close an even bigger lawsuit. He also stated that all of the company's tailings dams were periodically reviewed and inspected following the 2015 catastrophe. The troubled mine was even inspected in September by German safety certifier TUV SUD and found to be stable, per The Wall Street Journal. Regardless, Brazil's courts have already frozen over $2.5 billion of Vale's assets to help fund damages related to Friday's dam burst. If the 2015 lawsuits are any indicator, this amount could foreseeably more than double or even triple. Your guess is as good as mine at this stage. Investors hate uncertainty, so the unknown liabilities from this latest tragedy seem likely to keep a lid on Vale's stock price. 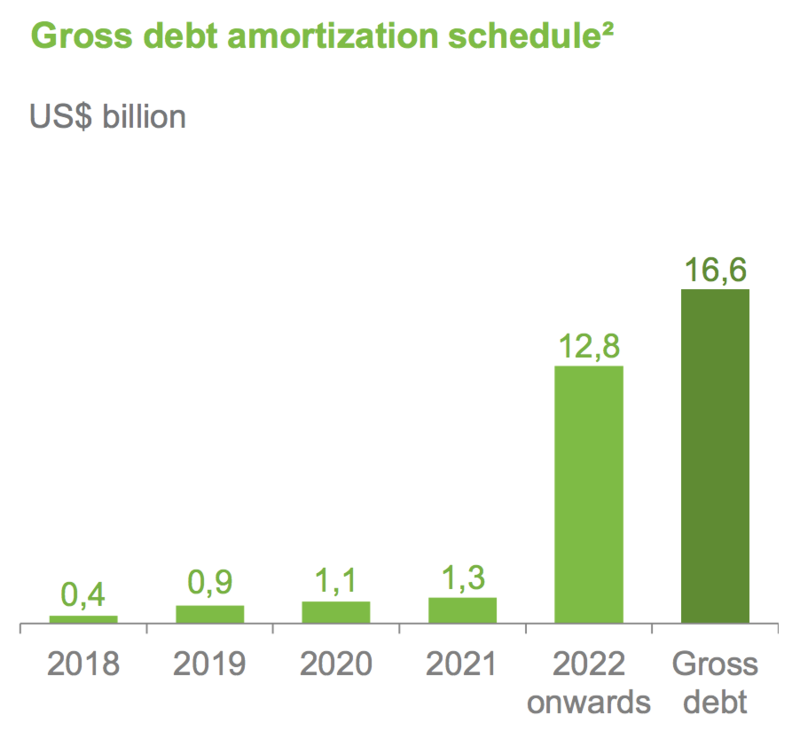 The potential for increased safety regulations in Brazil (the government has already ordered inspections of Vale's other mines) and elsewhere could also raise future operating costs or disrupt production at existing mines. Plus, investors now have to ask themselves if they need to discount mining stocks more given their operational risks. The good news is that Vale's management team brought the company onto much stronger financial ground in recent years by paying down debt and dialing back growth projects. While it's too soon to say with full confidence, Vale's potential liabilities seem very unlikely to bring down the firm. However, future consequences could still be quite severe. Combined with the sensitivity of this situation (Vale does not want to appear to be enriching executives or shareholders while Brazilians suffer), it would be surprising if the company returned to paying dividends for at least the next year. Income investors are likely best off moving on to a company with less hair. From a Dividend Safety Score perspective, Vale was a tough one. There was really no time to react to the dam bursting on Friday before the damage was done. The company scored 65 prior to the board's decision to suspend the dividend on Sunday, making it just the fourth out of 216 companies to have scored above 60 prior to its cut announcement. We have a Dividend Safety Score template designed specifically for mining companies. The template attempts to take a more conservative stance to account for the cyclical nature of this space – financial results can flip in a hurry due to volatile commodity prices. Thanks to its solid financial health, strong liquidity, reasonable payout ratio, and improved free cash flow generation, Vale had one of the higher scores in the mining industry. Unfortunately, we did not have a way to forecast Vale's bursting dam problem, which I believe was a very low probability-high severity risk. Even management's decision to suspend the dividend involved some discretion given the healthy financial shape the business was in. However, given the unknown liabilities and the poor optics associated with continuing dividends in this sensitive situation, it was a prudent move. Going forward, it's hard to argue that the risk of major mine accidents needs to be somehow baked into our mining template for dividend safety given how rare they are. Mining stocks are already treated conservatively, and the risk of a tragedy this severe (big enough to threaten the dividend) is very low. "Tighter regulations, technology improvements and automation that have led to fewer people working in mines are behind the falling number of mining fatalities, according to data from government agencies and industry groups. In 1950 there were 807 deaths in the U.S., which had fallen to 510 by 1960, 425 by 1970 and 27 last year, according to data from the National Mining Association. The 27 large mining companies, including Vale, that are members of trade body the International Council on Mining and Metals reported 51 fatalities in 2017, down from 63 in 2016." With that said, I believe there is always room for improvement in everything we do. 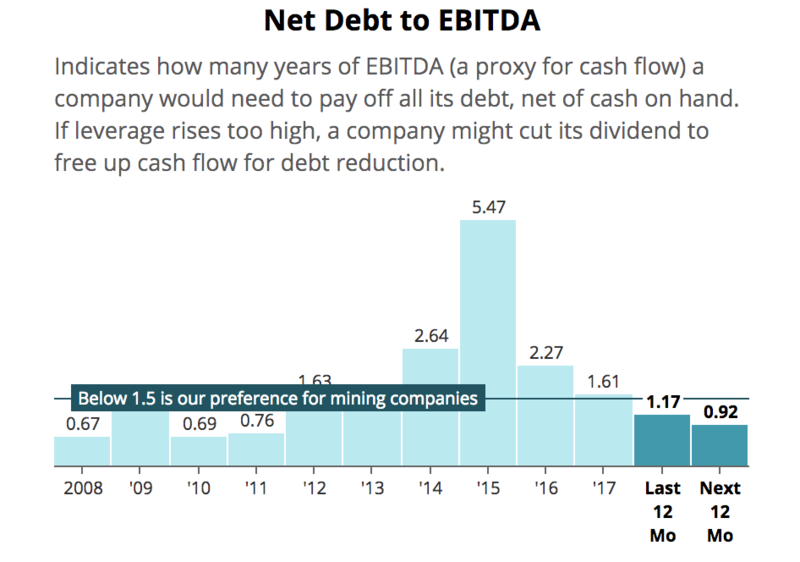 While we can't get in front of major mine disasters before they happen, we can consider placing more weight on a firm's dividend track record to gauge how conservative its operations have historically been managed. For example, thanks largely to Vale's variable dividend policy, you can see its annual dividends per share are all over the map. This type of business does not seem like it should ever warrant a score above 60, but Vale's otherwise strong financial profile made it one of the exceptions. Within our mining template, we will work to be even more conservative with our treatment of companies that have spotty dividend track records. Regardless, the devastating news this past weekend underscores the importance of portfolio diversification. While most potential dividend cuts can be flagged well in advance, there are unpredictable events which, however unlikely, have potential to disrupt even financially healthy companies. Spreading your portfolio across many different stocks reduces company-specific risk and ultimately results in safer, less volatile total returns and dividend growth over the long run.